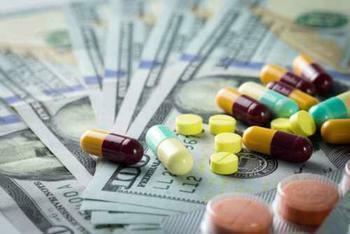 Drug prices remain a red hot consumer issue as 20 states have filed a federal lawsuit against six generic drug makers, including Mylan Pharmaceuticals, charging conspiracies to restrain trade and artificially inflate prices for two drugs. Besides Mylan, maker of the EpiPen, the suit filed in a U.S. District Court in Connecticut names Heritage Pharmaceuticals, Inc., Auribindo Pharma USA, Inc., Citron Pharma, LLC, Mayne Pharma (USA), Inc., and Teva Pharmaceuticals USA, Inc., as defendants. The drug companies are accused specifically of trying to squash competition and boost prices for doxycycline hyclate delayed release, an antibiotic, and glyburide, an oral diabetes medication. New York Attorney General Eric Schneiderman says the multi-state investigation found evidence of a widespread, well-coordinated, and long running series of conspiracies to artificially set prices and stake out markets for certain generic pharmaceuticals in the United States. Florida Attorney General Pam Bondi said investigators determined that the six drug companies coordinated price-fixing efforts when they had face to face contact at trade shows and customer conferences. She says there is also evidence the drug companies avoided written communication once they became aware their activities were under investigation, and in some cases deleted existing communication. The suit claims the drug companies' conduct violated the Sherman Antitrust Act, in addition to state antitrust laws. It seeks “substantial” financial compensation.